Bradley Coatings wanted to present the best possible brand image and informational copy with their print advertising piece in American Fastener Journal. 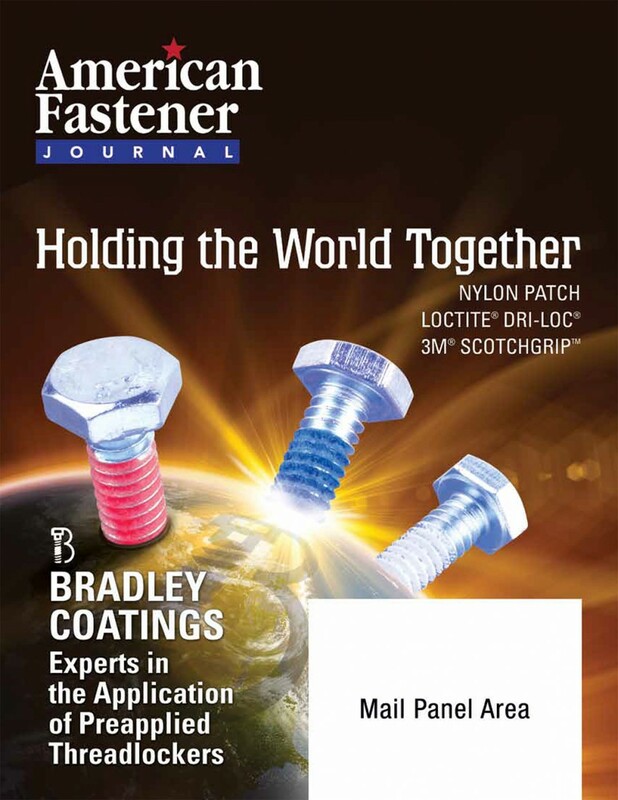 dream ink worked with our client to concept an effective, aesthetically pleasing layout and write effective copy that would speak to the readership of American Fastener. 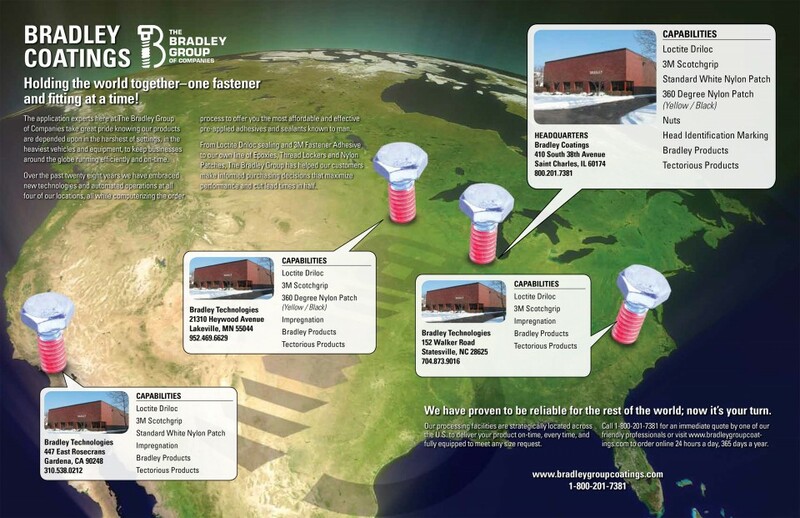 This was a prime opportunity to increase visibility and reinforce a strong distribution network in the industry’s leading publication. 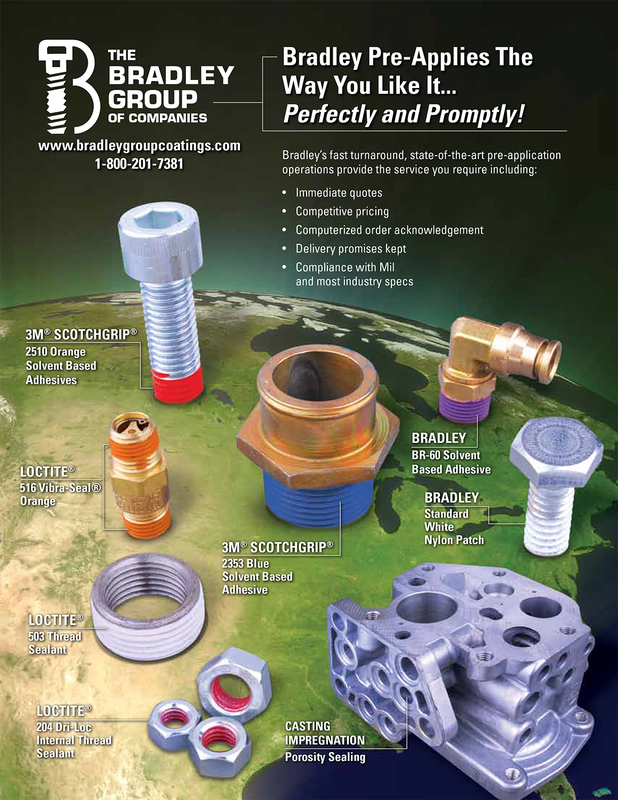 Bradley Coatings’ products are used around the world so our goal was to communicate their history of success while also looking forward to the innovative products they continue to offer. Business owners don’t want to be sold; they want to be educated. Creating high-impact print advertising to build your brand often depends on the audience you’re trying to reach. Are they a younger, tech-savvy group, or an older demographic of decision-makers who prefer the newspaper to Facebook feeds? dream ink can help you connect with your company’s target audience with both online and offline marketing. We specialize in creating digital and print advertising that speaks to those most likely to need your products and services. Visit our Targeted Marketing page or contact us today for a free quote or consultation.